ZARC - Zip utility. Zip tagged files easily. with PKZIP version 2.04 and DOS 5 or newer. ZARC – Zip utility. Zip tagged files easily. Version 5 Has more features. You can easily create, update, freshen, or move files. Uses LIST to view text files. directory and you simply tag the files you want zipped. Backup entire directory on multiple disks. Works ok with DOS 6 and doublespace. DESC.SDI program for use when uploading to most BBS's. Note: Use FILE_ID.DIZ as a description when uploading to BBS. SYSOPS: Please delete all prior versions of ZARC from your BBS. and preferably within a search path. an error message will appear when attempting create a zip file. search path. It is called when viewing text files. or LIST. The search path will take care of it for you. Doing so will cause unpredictable results. pressing the space-bar to tag, or un-tag the selections. or PgUp to change pages. (also Home & End). page if there are additional files there. This menu will give you the options for the ZIP operation. * Create a new zipfile that will contain the selected files. replace an existing file within the Zip. file is different or changed from the original Zipped copy. zip, then the message ' Nothing to do' will appear. Zipfile date to this date. up the ZipDate. See the section on DATE setting option. * MOVE a file to a ZipFile. the Zipfile was successfully generated or updated. a different directory, any tags will NOT be remembered. Change disk Drive by entering L to Log a new drive. in the first directory, remembering the path & filename. first directory. The selected files will be added to the Zip. was highlighted then that filename will be prompted for you. enter the proper name instead of the one displayed. already existing within the zip. with the files that were tagged. DATE: The ZipDate used is determined by the date setting option. update the ZipFile by adding more files to it. 1. Use today's date for the generated Zipfile. 2. Use the same date as existing ZipFile. (when updating file). 3. Use the date of the most recent file within the zipfile. (including the date of the file just added to the zip). default directory for this setting. or from the main menu. The work drive defaults to C: if it exist. SORT: A sorting option will now let you sort the directory as displayed. the size of the directory, and the speed of your computer. an afterthought for those who desire it. available memory, leaving less for your shell operation. remove it from memory before exit back to ZARC. You may change drives/directories while in a shell. logged and any tags from before the shell will not be remembered. Requires PKZIP version 2.04 or newer. or choose B from the Zip Menu. the created zip file, along with all sub-directories under it. The PARENT directory is not saved. only it's files & directories. You have 2 methods to create this backup. DO NOT delete the original files. directories will also be deleted after the process is done. The default directory (parent) is not deleted. diskette to continue the backup. of Insufficient memory. Some computers will have no trouble. 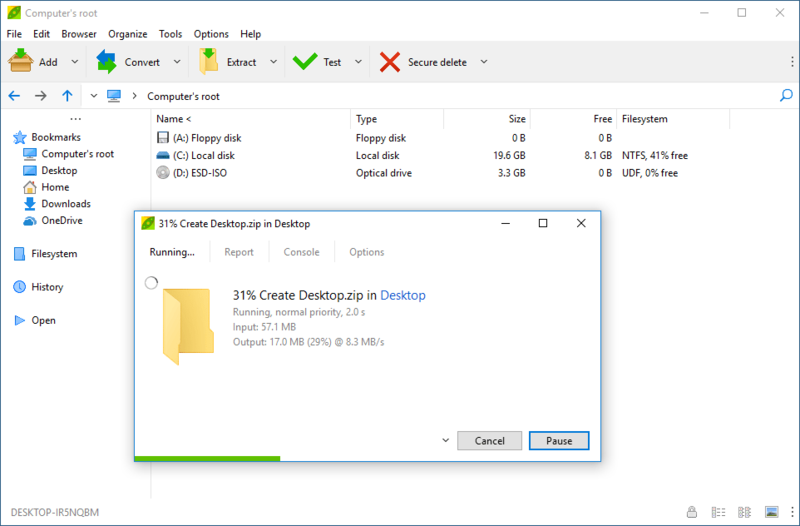 backup is asking an awful lot from PkZip. Alt-V = Zip-View a zipped file. file names within the zipfile. that you want to view. Press Alt-V.
You can only Zip-View a file that has a .ZIP extension. Registration is required for commercial use of ZARC.EXE. Registration fee for individuals is $ 10. U.S. funds. All fees are to be made in U.S. exchange rate funds. Please enclose a self addressed envelope. ZARC.EXE is a licence grant to use ZARC.EXE as needed. in any way, including this text file. all responsibility for it's use. using ZARC. Suggestions are always welcome. you, and so far, this code will be good for all updates. Fill out the registration blank below. Print or copy this page and use it for registration. EXACTLY as you want it to be displayed on the screen.